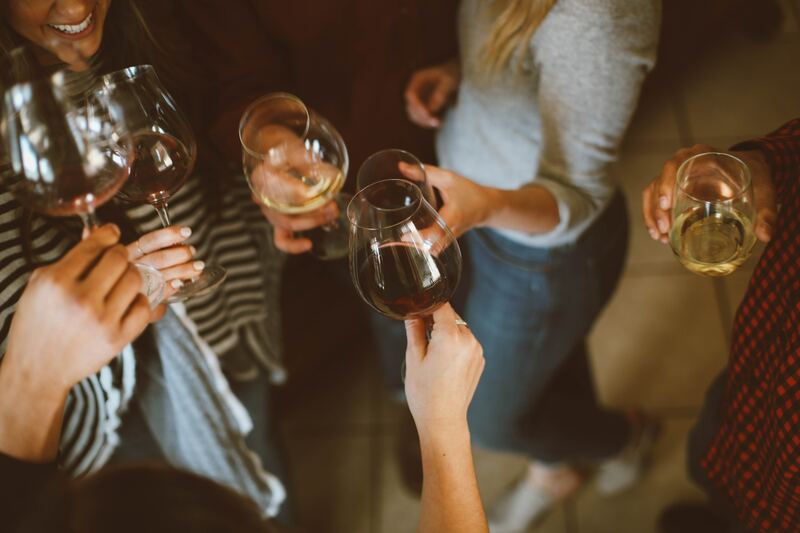 There is no question that people drink a lot more during the holiday season than at any other time of the year, and this applies to both the regular drinker and the social drinker. The most drinking is done during the July 4th weekend holiday, followed by Halloween. The Christmas and new year holidays are a close third. For some unknown reasons, alcohol plays a major role in almost every festivity, party or celebration during the holiday season. The most common alcoholic drink consumed during the holidays is beer, followed by wine. During the Christmas holiday season, the majority of alcohol is consumed at parties, clubs, bars and other people’s homes. The one other fact is that during this holiday season, binge drinking is very common. Many people make a promise of abiding by just one alcoholic drink but unfortunately, the ‘party’ mood and peer pressure leads to excess drinking. The real problem is that drinking alcohol during the holidays usually leads to making a bad decision(s). Besides ruining one’s health, many people get behind the wheel of a car and consequently get involved with the law; and in the majority of cases, the outcomes are never good. Those caught drinking and driving are often arrested, some lose their driving privileges temporarily, others have to pay monetary penalties, enter rehab and worse, if there is an injury to other people or property, the driver is often incarcerated and faces huge monetary penalties. In many cases, the repercussions of alcohol consumption during the holidays go way beyond the party; those who get involved with the judicial system often lose their jobs, families are torn apart and havoc is created in both interpersonal and interprofessional life. There are many reports indicating that alcohol consumption during the holidays is often associated with a greater rate of motor vehicle accidents, personal injury and property damage. Binge drinking during the holidays is a nationwide problem. The Centers for Disease Control has stated that binge drinking not only leads to alcohol toxicity but is associated with serious impairment in judgment, motorcar accidents, falls, violence and even damage to the liver. In addition, alcohol removes inhibition and many people participate in a liberal sexual activity which also places them at risk for sexually transmitted infections and unwanted pregnancies. In short, except for feeling exuberant for a few minutes, no good ever comes out of drinking alcohol during the holidays. Why do people drink more alcohol during the holiday season? For many people drinking during the holidays is normal practice. For decades, the tradition of serving alcohol at parties has been gathering momentum. Alcohol seems to be a ‘magnet’ for an invitation to parties; many people do not turn up to events where there is no alcohol. Others drink to be sociable and acceptable. During the holiday season there are way too many parties both at work and at clubs; in addition, the gathering of family and friends usually puts everyone in the mood to drink a little alcohol- but more often than not, the ‘little’ drinking soon gets out of control and everyone drinks a lot. There are several other reasons why people drink during the holidays including depression, being lonely, stress, and feeling isolated. Tragically one very common reason why people turn to alcohol is because of financial difficulties which usually start because of the need to maintain a certain status in society. Some people feel that they must buy the perfect gift for everyone and very soon realize that they are not able to afford it. Others spend so much money on presents that they are not able to pay rent; and in such circumstances, some people drown all their problems and sorrow in alcohol. How many people drink alcohol during the holidays? The exact number of people who consume alcohol during the holiday is not known but the numbers are huge. People of all ages, race, gender, and ethnicity imbibe in alcohol. Data released from the Distilled Spirits Council of the US reveal that just during the months of November, December, and January, consumers spend over $9-$12 billion on alcoholic drinks. Go to any liquor store during the holiday season and at any time of the day, night or weekend, there are always long lineups of people either waiting to get in the store or waiting to check out the alcoholic drinks. What is worrisome is that during the holiday season, people buy all types of alcoholic drinks and when they can’t find what they want, they will pick up anything left on the shelves. And a great many people do actually buy potent alcoholic drinks without even knowing the potential harm that can happen. What else makes the holiday season dangerous? While alcohol itself is a potent poison that can impair judgment, during the holiday season there are also many more cars on the road and the weather is often poor. What is also a major problem over the past decade is that many people combine alcohol with other illicit agents like marijuana, prescription medications, methamphetamine and cocaine. And with people continuing to use their digital devices in the car, these deadly series of risk factors place the alcoholic driver and everyone else on the road at serious risk for injury including death. During the holiday season, for some unknown reason, the public lets off their inhibitions and throws all cautions away. The public is usually only interested in getting to the party, drinking alcohol and having a great time. During these parties, the alcohol also leads to unpredictable and erratic behavior, combined with screaming matches, physical altercations, and rowdiness. To make matters worse, alcohol fuels inappropriate comments, ill-advised sexual overtures towards the colleagues and even violence- often leading to the pink slip on the spot. On average, there are about 1,000-1,200 alcohol-related deaths during the holiday season. In addition, data from the National Highway Traffic Safety Administration reveal that December is a dangerous month for motorists and pedestrians. For the past decade, almost 40% of the fatalities that occur during the holiday season have been linked to alcohol. And to make matters worse, thousands of people are injured during motor vehicle accidents, some with serious injuries leading to lifelong disability. Those convicted of operating a motor vehicle under the influence of alcohol often face steep monetary penalties, loss of their driving privileges, fees to pay a lawyer and then are faced with civil suits by the injured parties. So what should the public do during the holidays? other way is to avoid people who drink and/or avoid places where alcohol is being served 5. Visit bars that promote non-alcoholic drinks; to entice guests these bars often provide free non-alcoholic drinks, and this is the ideal way to enjoy your holidays. What about chronic alcoholics who want a break from alcohol? The holidays do create a lot of stress on some people and this often leads to excess alcohol consumption. For those who feel that they do not have control over alcohol, perhaps a short inpatient stay in a rehabilitation facility may help. Most of these rehab facilities are empty at this time of the year and getting into the center is a lot easier and faster. However, one should try and get into the rehab center before the end of the year, because by January, there is a high burnout rate and the places get full pretty fast. Unfortunately being an inpatient at a treatment program during the holidays is not fun but for some, this is the only way to avoid the temptation to drink alcohol. Most alcohol rehab facilities also have their own Christmas party and New Year celebrations, but instead of alcohol serve other healthy alternatives. In addition, these centers do encourage supportive family members and friends to join in the celebrations, so the admitted person does not feel lonely. While being admitted to a rehab center for a drinking problem may appear as big negative, it will allow you to start a new life after the treatment. This will give you a chance to develop confidence and better work ethics so that when you leave the center you can apply for a decent job. Many employers are sympathetic towards alcoholics who have taken steps to correct their drinking problem. The holiday season should be seen as a privilege and one should appreciate that fact. This is something that you have earned and thus, the holidays should be considered an investment. Hence, take into account the negative effects of alcohol and how it can ruin your social, financial, personal and professional life. Granted alcohol consumption is a historical tradition for the holidays but if you want to live a life with no hassles, there are many better ways to enjoy the holidays. Give alcohol a break this holiday season and avoid putting your life or the lives of other people at risk. Instead of drinking alcohol, drink water instead. This bland beverage is free, has ZERO calories, will not make you fat and will never get you into any problems with the law. Have safe holidays. An image of a mother helplessly lying on a hospital bed with her dying son has swept the world on social media. This Canadian mother shared the post to send an important message to mothers and their sons and daughters that THIS could be them. She goes on to say that she’s lost her son to this horrifying drug, and really wants everyone to know that this isn’t just her son’s tragedy. It can be anyone’s worst nightmare. He was only 22 years old. Fentanyl can be mistaken for heroin. However, it’s much more dangerous. The high is quick and strong. Heroin highs can last hours, while fentanyl can last only a few minutes. It’s because the drug is mixed with an unknown amount of heroin, marijuana and other drugs. No one knows for sure what is in it when they are using it. That’s what makes it so risky. People are using fentanyl without even knowing it, and yes, addicts and non-addicts. Some people take the chance because of peer pressure, and they have no idea what they are really using is the deadlier form of heroin. Addicts are at a higher risk because they are often using what they buy off whatever dealer is available, and no one really knows what the drugs are made up of when sold. And when you don’t know what’s in it, you don’t know if you’re taking too much – a deadly dose. This epidemic is killing innocent people around the world. We’re surrounded by people dying every single day because of overdose. It needs to end. At Michigan Counseling Group, we are committed to helping addicts start and remain in recovery. Our services offer a full suite of recovery services that can keep people addicted to drugs in the community clean and productive. Testing: With regular alcohol and drug testing, we are able to keep people accountable for their actions. These services can be used by the court or for personal use, making it perfect for parole offices and parents. Counseling: The underlying roots of drug addiction lie in not only biological causes, but emotional and mental ones as well. Counseling provides support, guidance, and education to help undercover the reasons why people turn to drugs, so they can learn better coping mechanisms. License Restoration in Michigan: Losing a license can be a devastating experience for someone who is trying to get his/her life back while in addiction recovery. 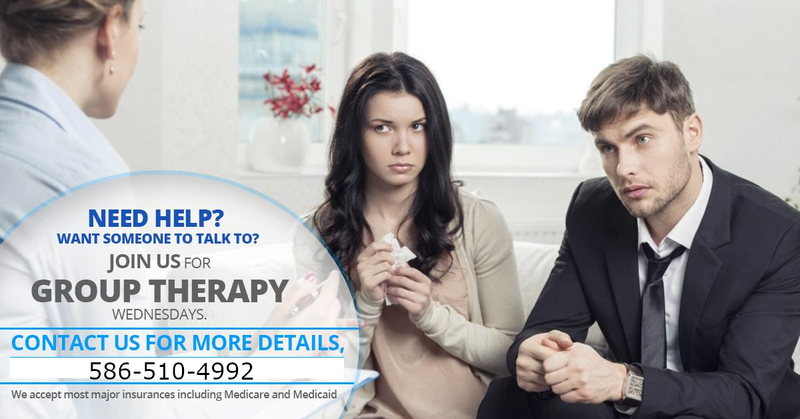 At Michigan Counseling Group, we help people get their life back for a low price. We believe in second chances, and with your license back. You can have that second change. GPS Monitoring: GPS monitoring is another service we highly recommend. This can help parents, loved ones, and parole officers keep track of those who are having a difficult time staying on track. With this, boundaries can be set with alerts to keep people on the right path. Please contact us for more information on alcohol and drug testing, counseling, license restoration in Michigan, and GPS monitoring. We’re hoping to help as many people as possible NOT become like the mother and son mentioned above. The Bureau of Prisons reports nearly half of people in prison are in for drug-related offenses. The cost of incarceration is high, and it’s rising with the average cost of an inmate as $31,286 per year. Not to mention, prisoners are not part of the workforce, further hurting the nation’s economy. Keeping drug offenders (possession mostly) out of prison saves money and benefits the economy, if they are responsible, productive members of society. With addiction being the cause of most of the possession cases that enter the courtroom, having resources to turn to during judgment can help keep those addicted out of prisons. 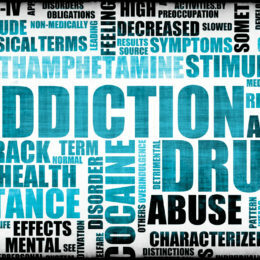 Active addiction can lead to overdose. The rate of death from drug overdose hit a peak just two years ago, according to the U.S. Department of Health and Human Services. Most of these overdoses were due to opioid use, such as pain killers and heroin. Michigan is 10th in the nation for opioid drug use, and the 18th in the total number of overdose deaths. While Michigan has been making accessibility changes for medication to reduce opioid addiction and overdose deaths, it’s a work in progress. MDADS serves to protect individuals from the risks of drug addiction with offender monitoring, PBT, tethering, and GPS services. M-TRACK offers an accountability monitoring solution. It is powered by SCRAM and SOBERLINK. It’s an alternative to jail. MDADS offers many M-TRACK programs. Soberlink BREATH PBT units, Scram CAM, GPS, BREATH PBT, and HOUSE ARREST monitoring systems are all utilized for tracking offenders. They are the most effective ways to ensure offenders receive the monitoring needed to keep them accountable. Contact MDADS right now for more information on these programs by calling 586-510-4992. People suffering from drug or alcohol addiction often deal with unresolved inner turmoil. According to Steven Earll, MA, MS, LPC, LAC, “Unresolved family trauma is at the root of most major life conflicts facing individuals and families. Addictions, personal dysfunction, relationship conflicts, divorce, and abusive behaviors often find their origins in a painful family history.” Treatment for deep rooted issues can help addicts recover to become productive members of society. “All families and individuals encounter trauma at some point in their lives; the way we handle trauma often determines how it will affect our lives and our family’s life for years – or generations – to come,” Earll says. When people learn better ways to handle life’s challenges, they have a higher chance of success with addiction recovery and rebuilding their life. Michigan Diagnostics Alcohol and Drug Services (MDADS) offers a convenient way to refer offenders to counseling services (substance abuse counseling, individual and group therapy, and alcohol and drug assessments). With professional therapy, offenders can receive the support, guidance, and education needed to recover from addiction and put their life back on track by re-entering the workforce and caring for their family. Time is of the essence with busy courtrooms. MDADS provides a quick and easy referral source for judges and lawyers to use in cases. Call 844-MDADS-4-U for instant access to drug monitoring systems and addiction treatment options. WARREN, Mich. — Court officials, probation officers and small businesses in the metro Detroit area now have a reliable option for their drug testing and counseling needs with the opening of Michigan Counseling Group, a state-of-the art, fully licensed facility in Warren.